bio-cageTM is a low cost and virtually maintenance free physical sludge dewatering device that requires no chemicals or power. 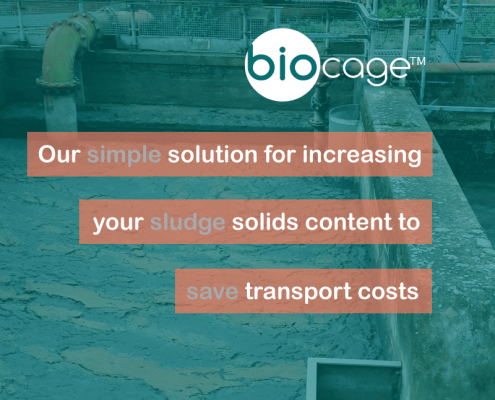 Developed by EcoGenR8 to address the huge costs faced by water utilities when transporting liquid sludges from remote wastewater treatment sites to sludge treatment centres, bio-cageTM is a truly innovative and effective solution. 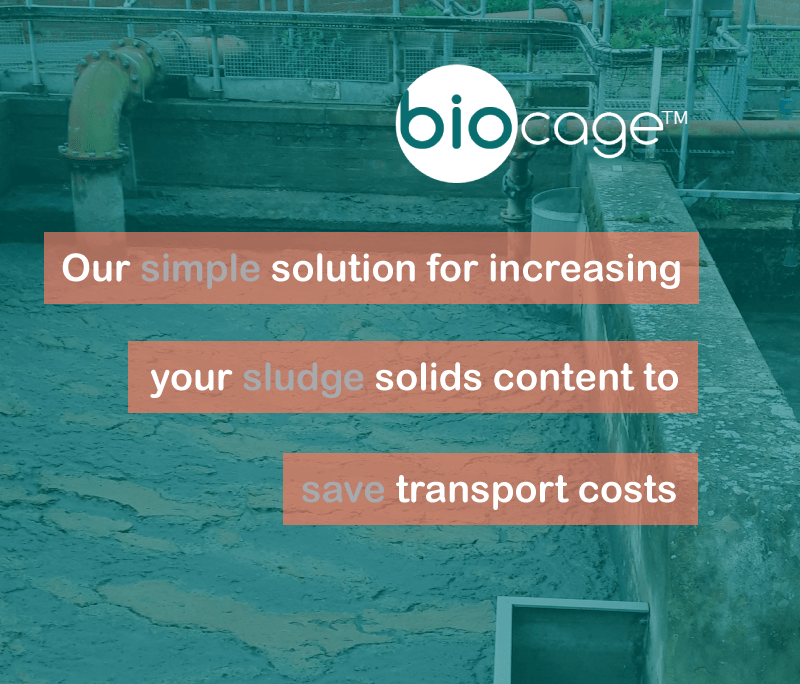 Reducing the costs associated with sludge transportation is an ongoing challenge for water utilities and a key target to reduce both operational costs and carbon footprint. 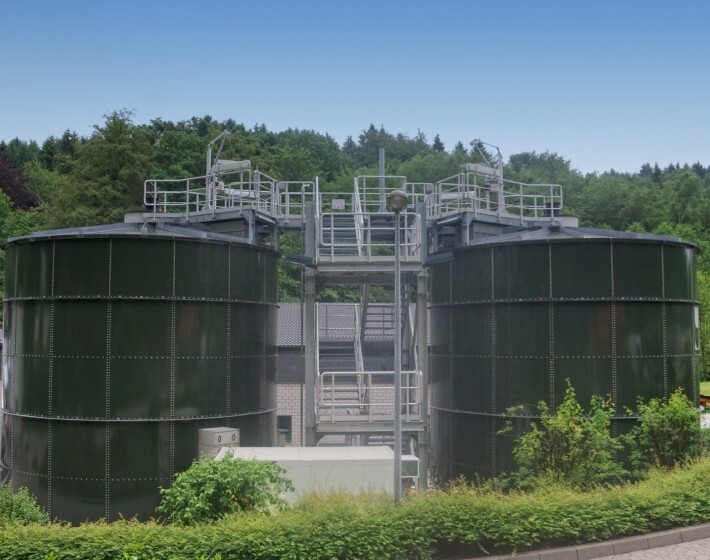 Wastewater sludges typically have a low sludge content and the goal is to increase this content as much as possible within tight cost constraints to minimise the wasteful transportation of water rather than sludge. Bio-cageTM is the perfect solution. Designed, manufactured and installed by our in-house team, bio-cageTM is easily retrofitted into existing sludge holding tanks. Requiring no power or chemicals and with minimal maintenance requirements, bio-cageTM really does offer a cost effective and viable solution that will deliver significant operational savings for water utilities. 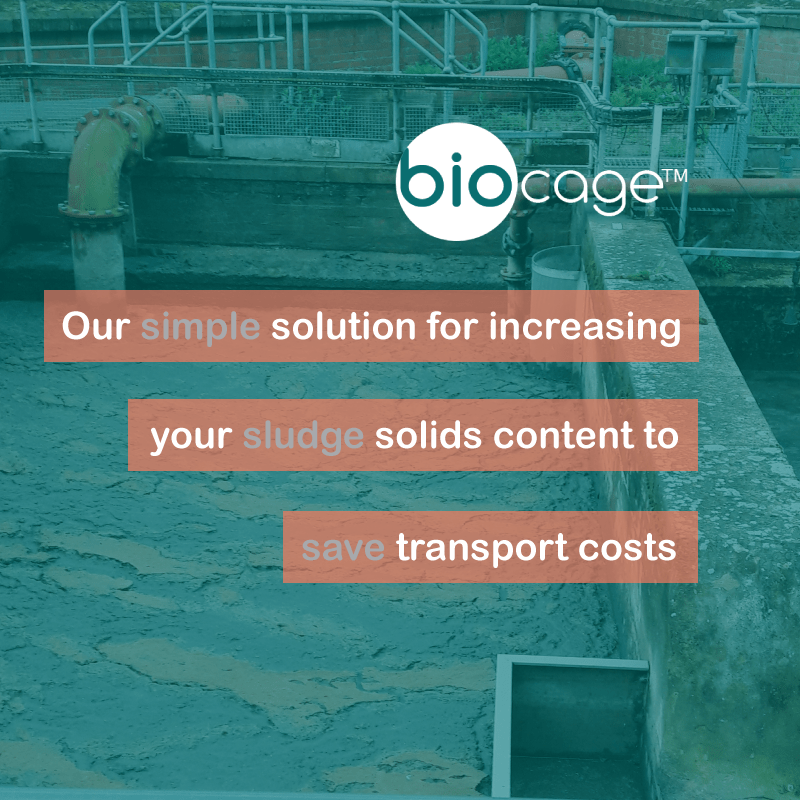 Installed and performance verified on over 50 wastewater sites across the Southern Water region, bio-cageTM generates an average 33% increase in dry solids with an associated reduction in transport costs. 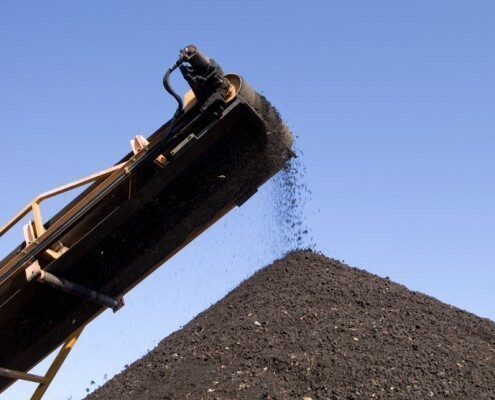 The average payback of the technology is between 12 and 24 months and it is effective on a range of sludge makes. Contact one of our team to discuss your sludge thickening requirements today!